When I raised this conundrum with the young man I described above, he responded by first noting that he had heard this view that came close to giving the Communists a pass expressed several times. His first question was to ask individuals whether they or their family were Party members and therefore privileged members of society. If the answer was in the affirmative, my guide believed that he had nothing further to say. If however the interlocutors did not enjoy the benefits of being a Party member or belonging to a prestigious profession, his next question was to ask their views about the current government. When there were the inevitable criticisms, my guide asked whether they would have made the same comments under the Communists. Silence or a negative response ensued. His point had been made. Apart from those people who did enjoy the privileges of access to special stores, Western medical care, higher salaries – despite the widespread perception in Communist countries everyone is not paid the same – or a country dacha, I do not believe that this ambivalence can be attributed to nostalgia for Communism as much as the difficulty so many have experienced from the transition to a market economy in which inefficient factories have closed and unemployment, coupled with low wages, have become unsettling realities. The growing criticism to current conditions is not merely anecdotal. A number of analytical surveys demonstrate that the hostility to Communism was at its highest in 1990 and has been slipping ever since. Romania and Bulgaria’s entry into the European Union in 2007 has reinforced their misgivings about a market economy. Both remain the two poorest countries in the EU. Those who do have jobs are paid much below the EU average which may explain why outsourcing from its wealthier members targets the capitals of these two countries. Although the EU funds large-scale farming and manufacturing, small farmers and businesses are slighted and are vulnerable to political corruption. The biggest problem in both countries (and other former Communist countries along the Danube) is the demographic decline, especially among young people, who are leaving for Western European countries because of the prospect for better jobs and wages. Our Bulgarian guide lamented that some of these people with young children were depositing them with the grandparents. She worried that when the parents returned, would their children know them? I was encouraged by another Romanian guide who remarked that he would not be joining the exodus; he would stay and fight for change. In view of the partial amnesia about the Communist regimes in these two countries, I was inspired to read the first two novels by the American-born author, Olen Steinhauer, and The Shadow Land (Ballantine Books, 2017) by the American-born Elizabeth Kostova who now lives in Bulgaria. 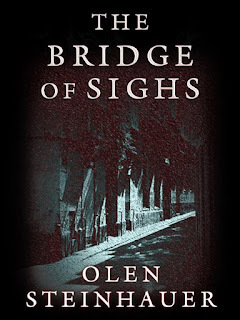 After spending a year living in Romania on a fellowship, Steinhauer wrote his debut novel, The Bridge of Sighs (St Martin’s Minotaur, 2003), following that up a year later with his more complex and searing The Confession, the second of five novels in the Yalta Boulevard series. 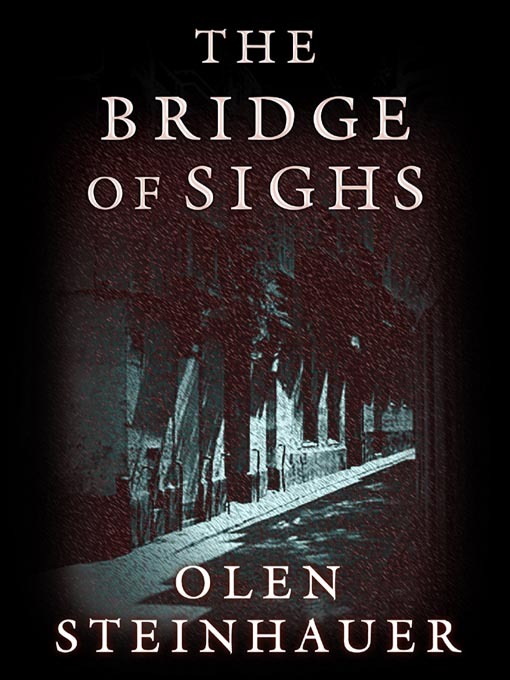 The Bridge of Sighs is ostensibly a police procedural with homicide detectives investigating murders. But appearances can be deceptive as there is nothing resembling the rule of law that prevails in the West or the appearance of an equivalent court system in this unnamed capital in Eastern Europe. The time is 1948, three years after the Soviets “liberated” this country from Nazi control and Soviet soldiers still patrol the rubble-strewn streets where the country is on the cusp of succumbing to Communist rule. The Cold War is well underway as American and British planes are supplying to the beleaguered Berliners within the isolated Allied sectors food, medical supplies and heating, prohibited on Stalin’s orders through rail, automobile and water transportation. A young rookie detective, Emil Brod, who has spent the war years on a fishing boat in Finland before making his way back to the Capital, has been assigned by his superior in the People’s Militia to investigate the murder of a popular songwriter. Brod cannot understand the open hostility he encounters at headquarters as he pursues his investigation. When he becomes the victim of a violent attack, the silent treatment and the seething rage vanish. As we learn the reason for that outright hated, it seems logical since that visceral animosity would most likely occur in a state in which fear and suspicion of others were embedded in the system. Soon it becomes clear to Brod that his case has political ramifications, given that a major suspect may have collaborated with the Nazis during its occupation but now is a Party official en route to becoming an untouchable member of the Politburo. He is aware of the danger he faces that could destroy his career or worse but he doggedly soldiers on despite the risks. He believes that vital answers would be found in Berlin. With assistance from one of his colleagues and from a local security official, he travels to that divided city. 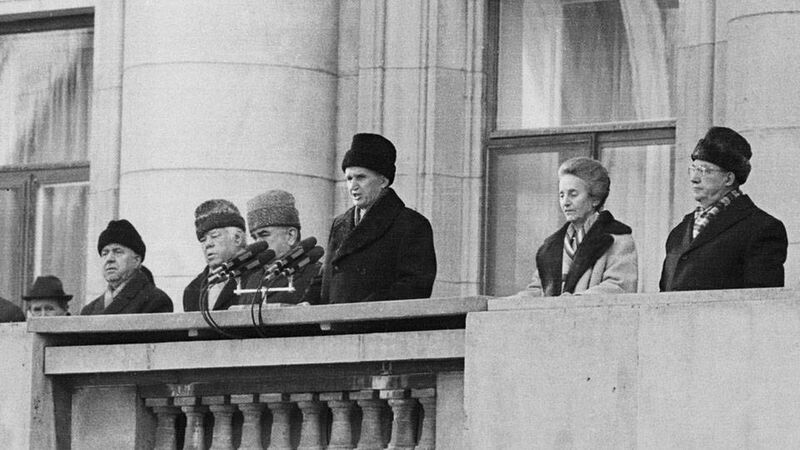 As the body count rises, he attracts the attention of Soviet security officials. Convinced that he had nothing to do with the murders, they allow him to return to his country, a significant historical moment since I doubt that Soviet security would have been that accommodating a few years later when control over its satellites was more deeply entrenched. Without giving too much away, The Bridge is the first time I have ever encountered in fiction, nonfiction or in film the possibility that a show trial resulted in something resembling justice. A reader is drawn to this engrossing novel not because it is a police procedural but because Steinhauer is successful in creating the ominous atmosphere and texture of a county as it slides into a totalitarian state. 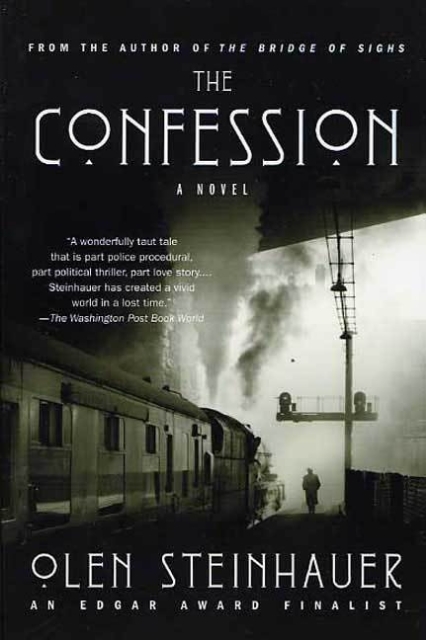 The Confession, a narrative within a narrative, is set in the same unnamed capital in a full-throttled totalitarian society. It's 1956 and the tumult of the Hungarian Revolution is tightening the screws of repression in this country and the People’s Militia is feeling the pressure. The makeup of its office has changed since 1947; there are now two Soviet senior officers, one of them reeks of the feared KGB. Emil Brod is merely a minor character in this saga. Whereas in The Bridge Brod is an innocent in which his basic decency and a large dollop of good luck enable him to overcome adversity, in theConfession, the central character, a flawed Ferenc Kolyeszar, is a much darker figure, damaged by his war service and the morally-crippling society he lives in. A part-time writer, Ferenc has already completed one novel about his war ordeal, and he is currently attempting to write another on his experience since returning. His KGB superior makes it clear to him that he is not pleased with Ferenc’s first novel as it does not conform to the canons of Socialist Realism – too introspective about a brooding individual, and not enough “about camaraderie, about healthy love, about how to be valuable to their society.” Furthermore, Ferenc is estranged from his wife, Magna, who more than once laments that he has changed since he returned home from the war, and now he suspects her of conducting an affair with one of his colleagues. He in turn pursues a sadomasochistic affair with another woman. If this were not enough, he and his associates are ordered to police a popular demonstration in the capital, one that Ferenc feels so ashamed about this collusion that he agrees with his colleagues to call in sick the next day as a form of protest, a protest not without its consequences. Still, the team investigates crimes. Ferenc is called upon to investigate the disappearance of a Party official’s wife. He soon discovers that she has vanished for good reasons and that her husband is not at all who he pretends to be. Ferenc arranges for her to flee the country to the Soviet Union where she has family connections. But given that in totalitarian states Party officials exercise certain powers and justice is rarely achieved, sometimes individuals reveal their complicity with the regime by dispensing rough justice. The People’s Militia also investigates a series of murders involving members of the artistic community and the traumatized perpetrator of some of these murders commits them, not before he was dispatched to the camps but, as a consequence of his appalling experience in one, hence the opening epigraph. None of the Romanians or Bulgarians I spoke with alluded to the concentration camps that rivalled the cruelty of their counterparts in the Soviet Union. 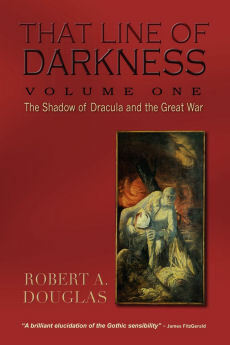 That subject is explored by the Bulgarian-born French philosopher, Tzvetan Todorov in his 1999 Voices of the Gulag: Life and Death in Communist Bulgaria whereby he singles out the notorious camp at Lovech, a rock quarry in Bulgaria that became the final destination for several thousand men and women during the years of operation from 1959 to 1962. It acquired the somber reputation that when an individual entered there, he might not leave it alive. Those who did were often so deeply traumatized that they succumbed to suicidal depression or became shadows of their former vibrant selves. Todorov notes that one hundred camps existed in Bulgaria from 1944 to 1989. Unlike the prisons, the camps were designed to terrorize individuals who had not committed a crime. They were subjected not only to sadistic treatment but, also by never being sentenced, they had no idea when or if they would ever be released. His vivid description, plus the powerful recollections of victim survivors, guards and senior officials, makes for harrowing reading. Todorov also acknowledges that although he lived in Sophia during the time that Lovech operated, a time when he was an activist, even he did not know of its existence. After that revelation, I was not surprised that no one there with whom I talked even mentioned the camps. Perhaps they are still unaware of their existence. Consistent with The Confession, Todorov notes that the fallout of the Hungarian uprising swelled the camp numbers. 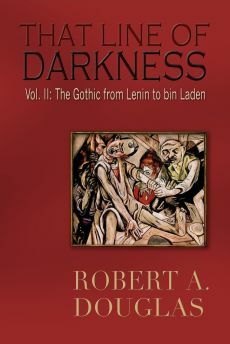 A couple of horrific details that he reveals are incorporated into The Confession, although Steinhauer does not reference this source – whereas Elizabeth Kostova does in her novel The Shadow Land, the subject of Part Two. The second and concluding part of Bob Douglas's "Remembering the Communist Experience in Romania and Bulgaria" will appear here on Sunday, October 1. Your blog is quite impressive! the way you have mention all the details and explain them is incredible. keep up with your work and keep posting brilliant information.